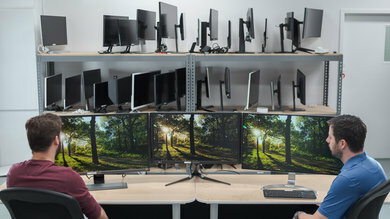 Despite the popularity of 4k with TVs, not everyone wants a 4k monitor. That doesn't necessarily mean you should be stuck with a low-resolution 1080p screen. A resolution of 1440p (also known as Quad-HD) strikes a great balance between 1080p and 4k. 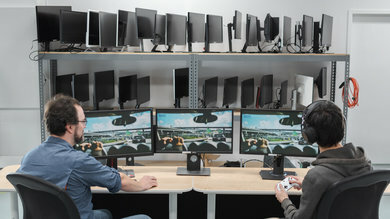 For medium-sized screens, 1440p delivers enough pixel density to see more details, but it doesn't require a significantly more powerful computer for decent gaming performance. 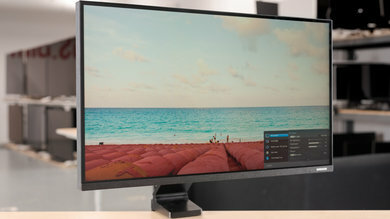 We've reviewed 25 monitors with a 2560x1440 or 3440x1440 resolution, and below are our recommendations for the best 1440p monitors available to purchase in 2019. 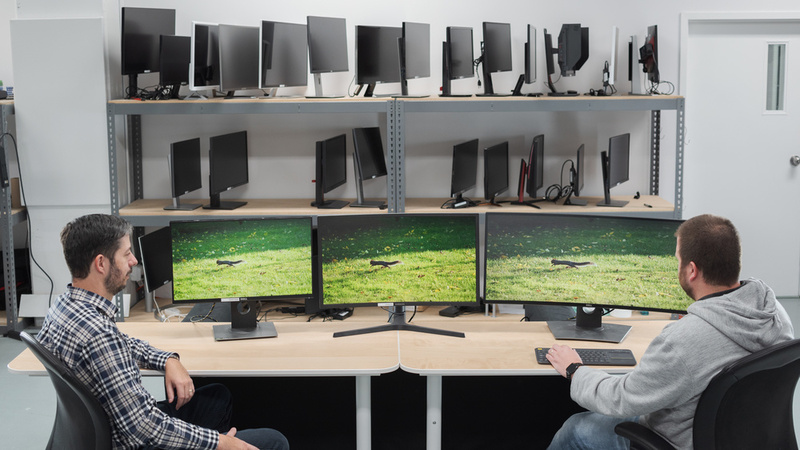 The Aorus AD27QD is the best 1440p monitor that we've tested so far. 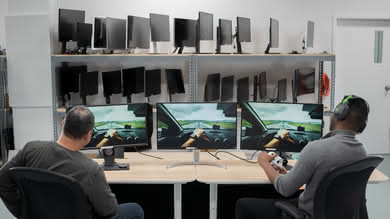 The Aorus is a great 27" monitor with excellent gaming features, wide viewing angles, and excellent motion handling thanks to an incredibly fast response time and optional black frame insertion feature. 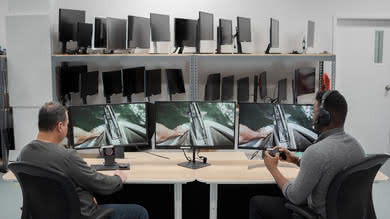 The AD27QD is designed with gaming in mind. It has a great design, with customizable RGB bias lighting and unique companion software that makes it easy to adjust your settings on the fly. 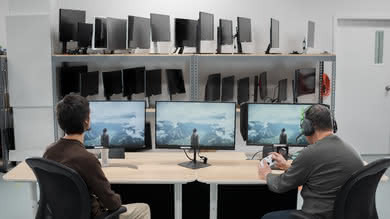 It has excellent low input lag, and it supports FreeSync variable refresh rate technology, even when connected to a recent NVIDIA graphics card. 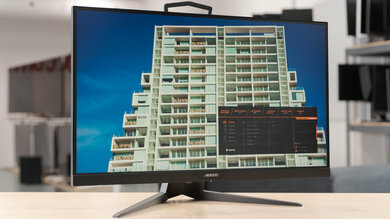 Unfortunately, like most IPS monitors, the Aorus AD27QD doesn't look as good in a dark room, and although it can display an HDR signal, it isn't bright enough for HDR to really stand out. Overall, though, it is a great 1440p monitor that should please most people. 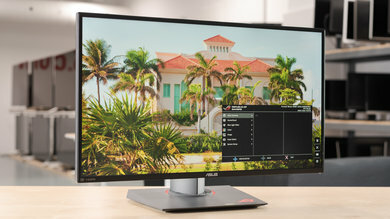 If you want a great 1440p gaming monitor like the Aorus AD27QD but would prefer a G-SYNC monitor to work perfectly with your NVIDIA graphics card, check out the ASUS PG279QZ instead. 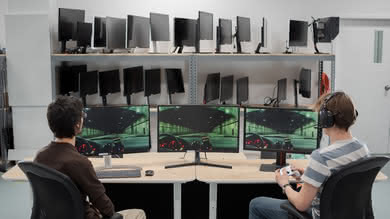 The PG279QZ is an excellent gaming monitor that delivers very similar performance to the Aorus, but with G-SYNC support instead of AMD's FreeSync. 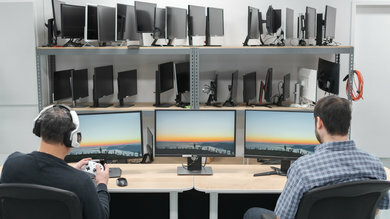 The PG279QZ doesn't support HDR, but other than that performs very similarly. 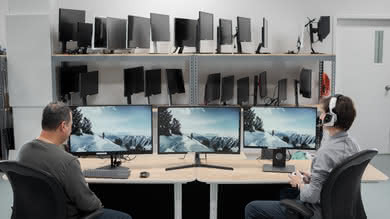 If you want a 1440p monitor with a wide aspect ratio, check out the Dell Alienware AW3418DW. 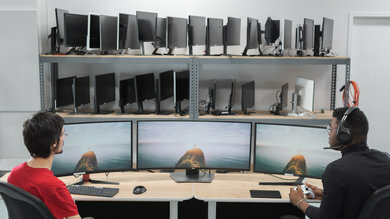 It is a 34" monitor with a 3440x1440 resolution. 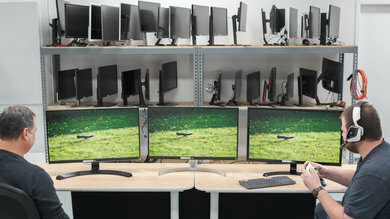 This wide format offers more flexibility for multitasking, and it provides for a more immersive multimedia experience. 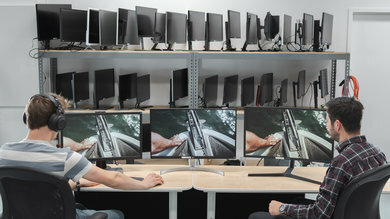 The unique design looks great in any setting, and although it can't switch to a portrait orientation, the stand can be easily placed in a comfortable viewing position. The AW3418DW delivers decent overall picture quality, and it has excellent motion handling and low input lag, which is great for gaming. It has great wide viewing angles, perfect for sharing work with a nearby colleague or a quick co-op gaming session, and it supports NVIDIA's G-SYNC technology. Unfortunately, it can't get very bright, so it might not look as good if you have a lot of natural light, and it also doesn't look as good in a very dark room. 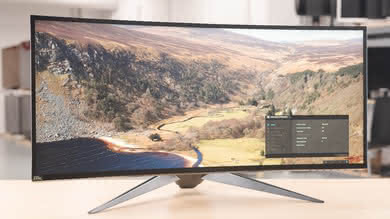 Overall, though, the Alienware AW3418DW is a very good monitor that should please most people. 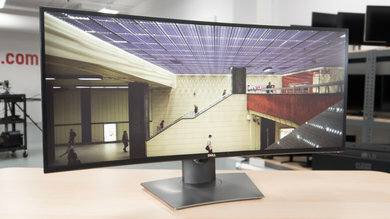 If the Dell Alienware AW3418DW is too expensive, get the Dell U3417W. 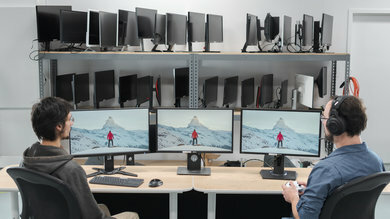 For office use, the Dell is just as good as the AW3418DW. It is a little bit brighter and has better reflection handling. 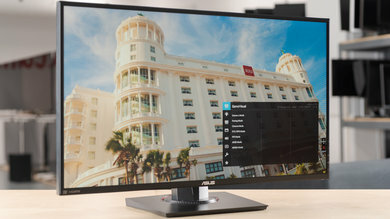 Like the ASUS, the large, high-resolution screen is wonderful for multitasking. Unfortunately, the U3417W doesn't handle motion as well, as it has a slower response time, lower refresh rate, and it doesn't support G-SYNC or any other VRR technology. This means gamers might not be as pleased. 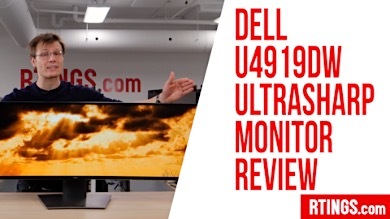 The Dell U2518D is the best budget 1440p monitor that we've tested so far. 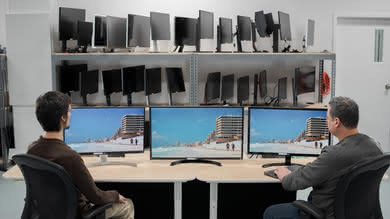 This versatile 25" 1440p monitor has wide viewing angles and delivers good overall picture quality. 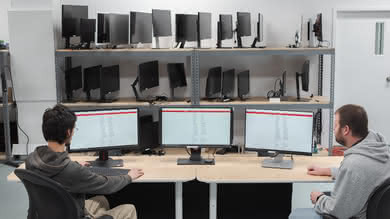 It has a simple, elegant design that looks great in any setting, and the excellent stand makes it a great choice if you are looking to equip an entire office. 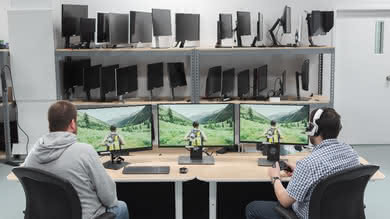 It is a versatile monitor, but it lacks some of the more advanced features typically found on higher-end monitors. 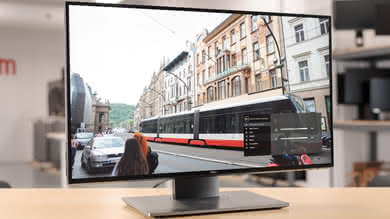 It has a maximum 60Hz refresh rate, which may disappoint more serious gamers, and it doesn't support any VRR technologies like FreeSync or G-SYNC. 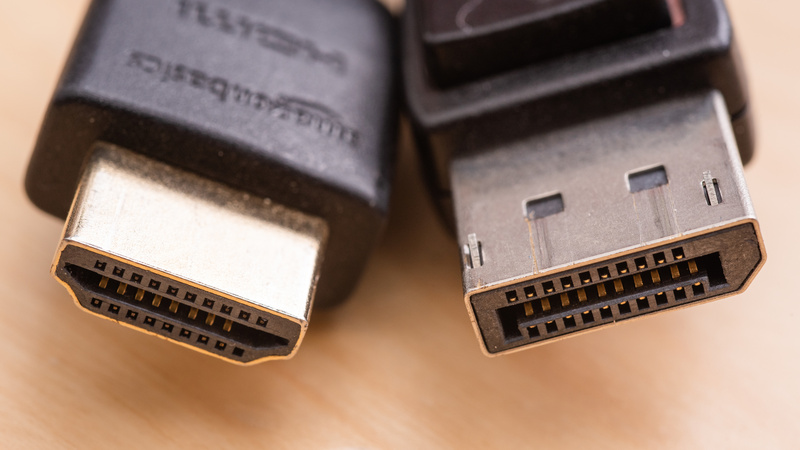 It has a good selection of inputs, including a built-in USB hub. Unfortunately, although the U2518D supports HDR, there isn't much benefit to using it, as it can't get very bright in HDR, and can't display a wide color gamut. Overall, though, the U2518D is a very good monitor for a variety of uses, and it should please most budget shoppers. 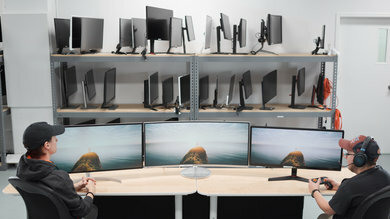 Our recommendations are based on what we think are the best 1440p monitors currently available. They are adapted to be valid for most people, in each price range. Rating is based on our review, factoring in price and feedback from our visitors.